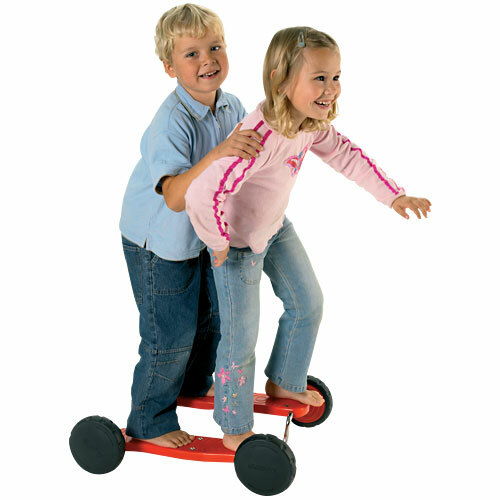 Children can practice balance and coordination on this easy running roller. The wheels, the steel shafts and the pedals form a unified unit for increased sturdiness and strength. The GoGo Roller has no sharp edges or areas that could pinch childrens feet. Roller is approximately 1 2" in length. For ages 5 - 12.